WASHINGTON—Acknowledging that total war with a personality cult ruled by a nuclear-capable despot will be a harrowing commitment posing many unique challenges, newly appointed National Security Advisor John Bolton promised the American public Friday that the upcoming war with North Korea certainly won’t be a cakewalk like Iraq. “You have to admit, things in Iraq were pretty cut-and-dried—we went in there, we deposed the leader, we installed our own government, we never even had to think about the long-term consequences, and certainly no hordes of soldiers were forced to fight the tens of thousands of American teens we’re going to throw at them in great, meat-grinding, human-wave attacks like we’re about to see in North Korea,” said Bolton, who noted that as one of the architects of the “ultimately painless and remarkably successful” 2003 Iraq invasion, he knew what he was talking about when it came to planning a massive land campaign in Asia. “It’s a good thing we have regional, expendable allies, because after the first 90 minutes of this war, somewhere around 2 million South Koreans are going to be a thin layer of greasy soot in the stratosphere, if my plan goes correctly. Then we simply commit an entire generation of young Americans to dying in numbers so great that they will permanently change the geography of the Korean peninsula. As will North Korea’s nukes and our fission weapons, of course. 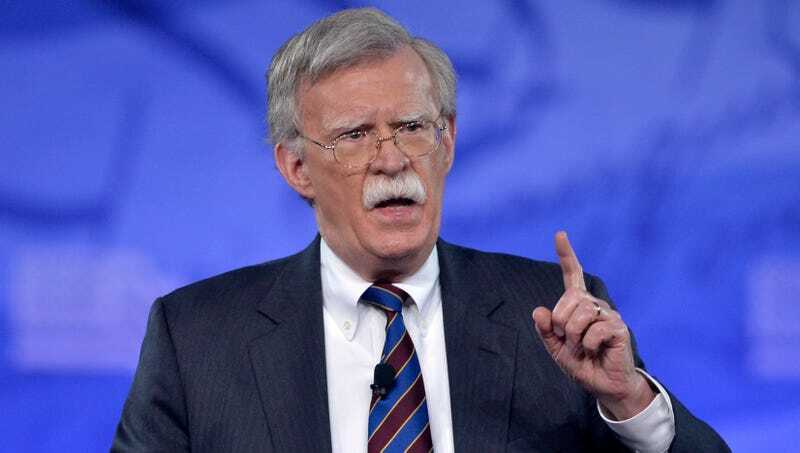 Believe me, this war is going to be an absolute mess.” Bolton also warned that further delays in mobilizing for war with North Korea would inevitably push back the start of the U.S.’s upcoming war with Iran.